The average Pinterest user creates boards and pins hundreds of images of crafts and DIY projects that they image they will one day like to do. Well that would be me! I am always pinning all theses neat projects that I say "will look so cute in my house" but I usually never actually make any of them, they just sit there on my Pinterest board. Well this past month I decided to actually take one of my pins off of my DYI/Craft board and follow through with the project. I had been seeing a lot of people repurposing old dressers and turing ing them into entertainment or tv stands. I absolutely loved this idea and decided that this was the project I wanted to do. The hardest part of this whole project honestly was finding a cheap dresser that was the right size I was wanting. I ended up finding a dresser at a local Goodwill (after looking at all the other thrift stores in town, as well as on craigslist) and it was $30. After getting the dresser I went to the hardware store to pick out my pain colors and all other tools that I would need to complete the project. 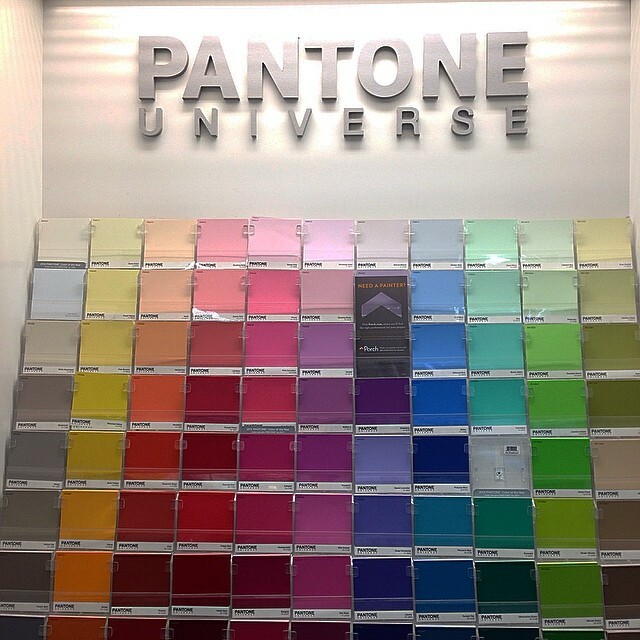 I absolutely LOVED all the Pantone paints that you can find at Lowes, they are all super bright and vibrant. I decided to go with a charcoal gray for the dresser color; I wanted something neutral that could be combined with a lot of different color combinations when it comes to decorating the room around it. I had a hard time finding new handles that would fit with the already drilled holes in the drawers so at the moment I opted to go with knobs, they are not my favorite so I do plan on special ordering the size handles that I need and will change those out in the near future. I think it came out pretty well for my first time doing anything like this, I definitely learned a few things that I would do differently if I were to do it again. But I had fun doing it and am very happy with the finished product.